Looking to install lighting in your landscape? You can count on Jeff Fuller Designs to help you out. 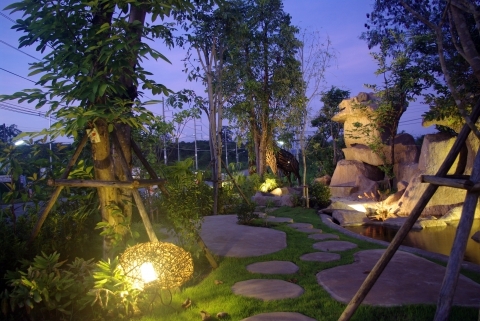 Lighting adds an elegant touch to your landscape. You can highlight features throughout your landscape, including trees, boulders, and your home. Landscape lighting can be temporary or permanent. 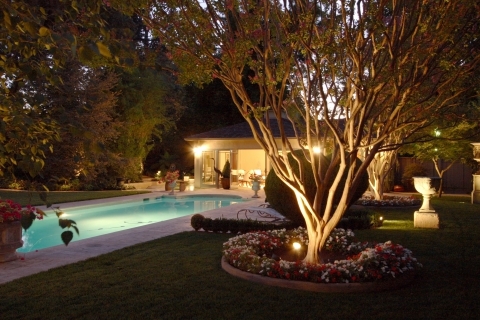 If you’re hosting a party, landscape lighting will impress the crowd. Let us install string lights throughout your landscape. Count on us to light up your home and trees throughout your landscape with spotlights. Make your landscape the talk of the party with our temporary landscape lighting implements. Light up your deck, your patio, your home, your water features, your trees, bushes, and lawn with our landscape lighting. We can install permanent landscape lighting that’s fed by power cords that are buried or hidden. We’ll work with you to design the ultimate landscape lighting to suit your landscape. Make your landscape glow with our professional landscape lighting. If you’re ready to get started, or if you’re curious about our landscape lighting services, please feel free to get in touch with us. Here at Jeff Fuller Designs, we’re ecstatic to transform your landscape into your personal oasis. Count on us for all of your landscaping needs!